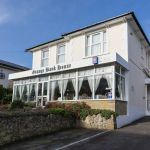 A friendly licenced Bed and Breakfast situated in the Old Village of Shanklin on the beautiful Isle of Wight. 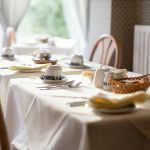 A short walk from vintage tea rooms, traditional pubs, great restaurants, local attractions and the beach. 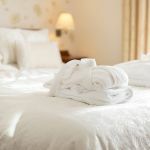 A choice of comfortable, well-furnished and modernly decorated en-suite rooms, with quality beds, flat screen TV, complimentary tea, coffee and bottled water, hair dryer, dressing table, Elsyl Toiletries and plenty of touches to make your stay extra special. A great place for a relaxed informal stay, where owners Peter and Warren look forward to welcoming Bikers. An easy ride to Ventnor, Sandown and Newport. Winner of Excellence award from TripAdvisor and Visit England - 4 star Gold award. Free Wi-Fi. Drying room and Motorcycle washing facilities. Garaged and private parking. Wootton Bridge on the beautiful Isle of Wight, just south of Southampton in the English Channel. Take the ferry from Portsmouth for a half hour (ish) crossing time to Fishbourne and then a mile to Quayside B&B.